Contact Super Sonic Dog Training Seattle Today! We operate throughout the Seattle area and have an office staff standing by to answer your questions and set you up to meet our professional Seattle dog trainer. 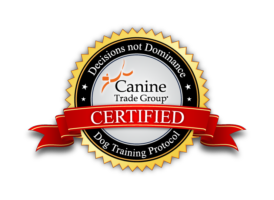 Our trainer is a graduate of Canine Trade Group, and group of professional dog trainers that practice throughout the country, delivering superior in-home training as well as group classes. Our services include basic obedience training, puppy training, training for dog owners expecting a new baby in the home, and group dog training classes. Call us at 800.649.7297, or send us an email using our contact form below. We accept dogs of all ages, sizes and breeds. We have extensive experience with behavioral issues ranging from moderate to severe. Our trainers have rehabilitated aggressive dogs that others were ready to give up on. Super Sonic Dog Training holds firm to the belief that no dog is beyond help; no case is too tough, and every dog deserves a chance.